Downtown Ottawa is the latest city to remove cars from its streets. Actually it’s just a single minivan. That got sucked into the bowels of the Earth. Don’t worry, you can enjoy these videos. Police had blocked off the area around it and no one was in danger. But still. People were close! In addition to disrupting traffic, the sinkhole also caused power outages and a possible gas leak. Some are worried that the main was broken due to the city’s new light rail line, which is currently tunneling beneath the area. Prime Minister Justin Trudeau was not available to offer an explanation. Update 2:04 p.m. 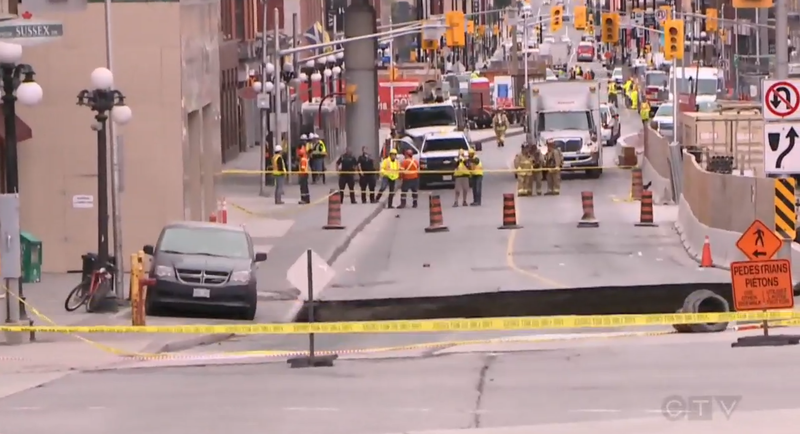 ET: Ottawa officials still can’t determine why the water main suddenly broke but they don’t think it was due to light rail.